With an additional tax on medical marijuana, those buying it for medical reasons help bring in funds to the state. 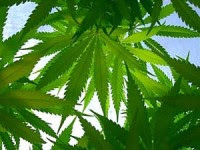 In addition to the tax on the medical marijuana itself, licensed owners of marijuana dispensaries pay a registration fee to the state, increasing state revenue. When compared with other pain relievers, most suffering from a chronic disease or illness would probably say cost is never a factor. When you are in so much pain that you can’t carry out normal activities or live life to the fullest, a solution needs to be sought quickly, no matter what the cost. While medical marijuana does in fact benefit the Colorado economy, it also has a large impact on the well being of so many residents who otherwise would be left in agony from their chronic illnesses. While medical marijuana may have an extremely positive impact on the Colorado economy, I’d argue it is having an even greater impact on the well being of Colorado residents suffering from chronic pain and severe illnesses.